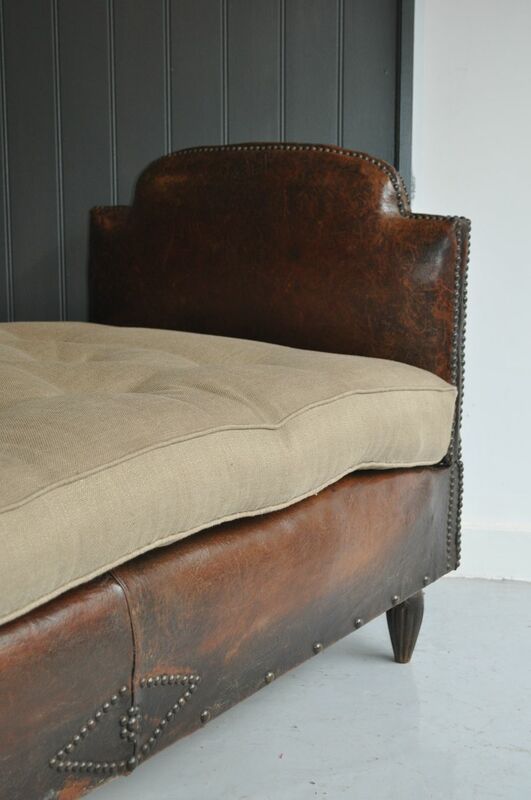 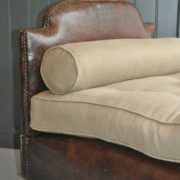 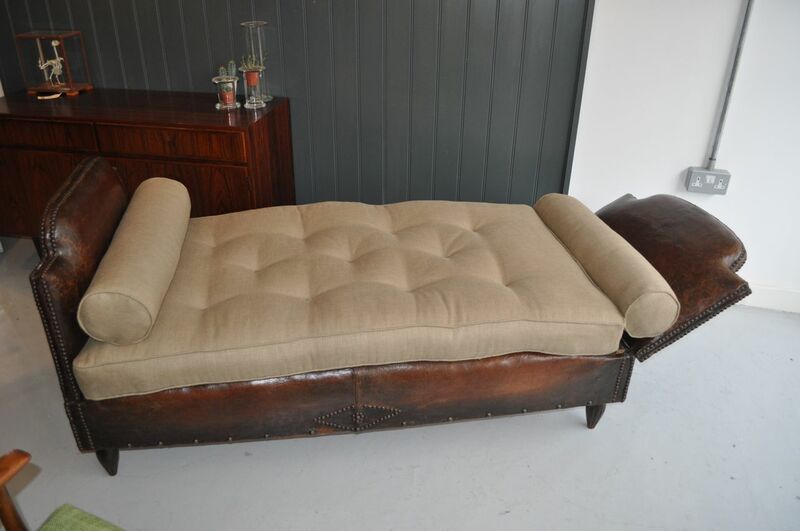 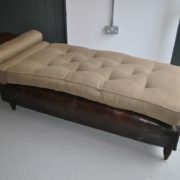 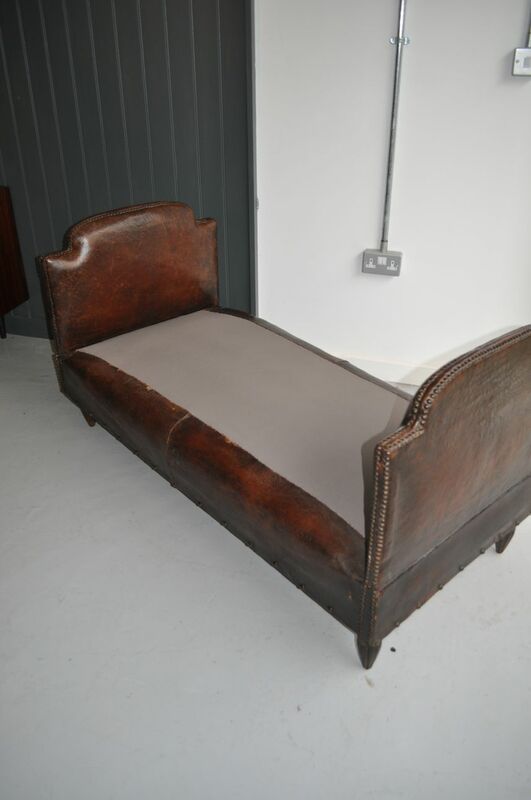 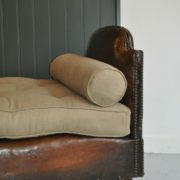 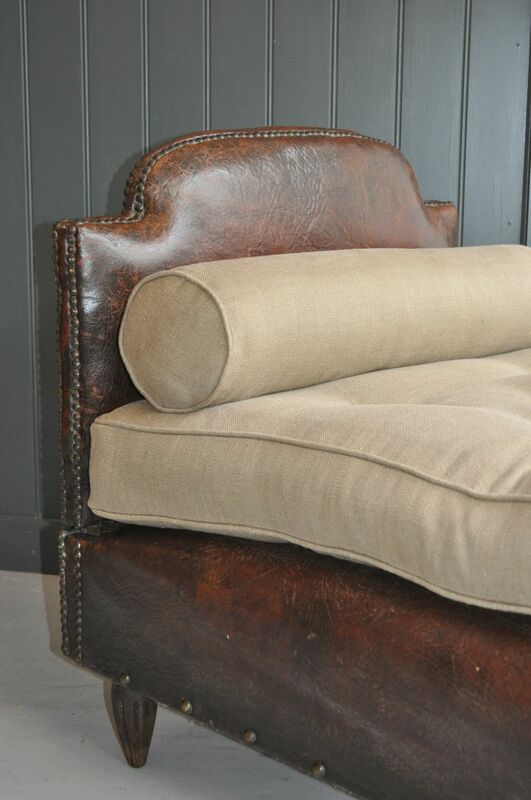 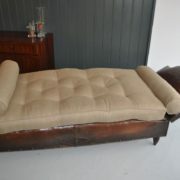 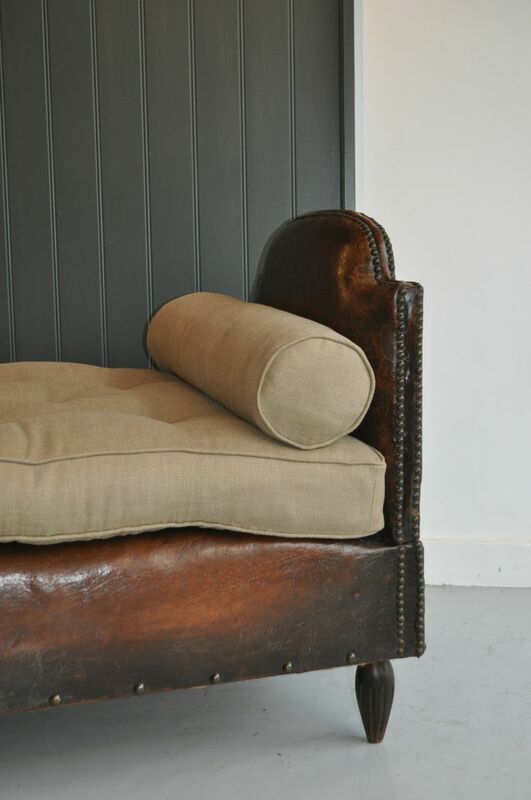 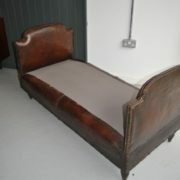 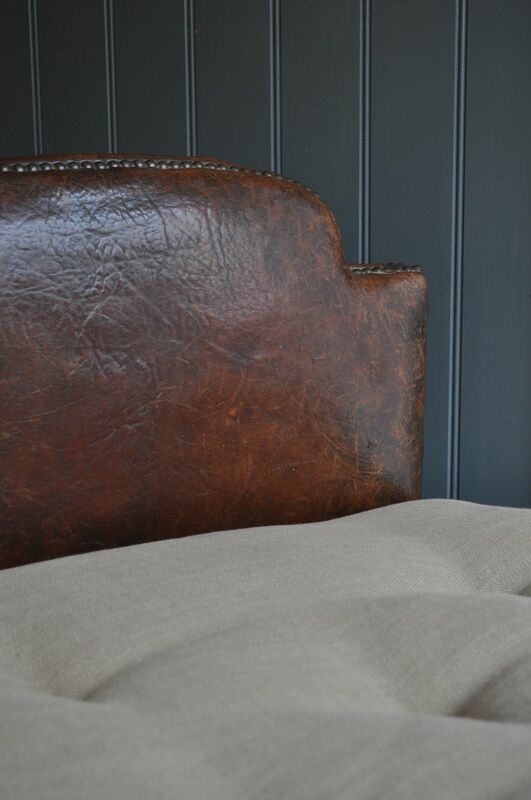 Early French leather daybed with studding to perimeters and elegant fluted legs. 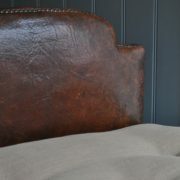 Lovely colour and patination to the leather. 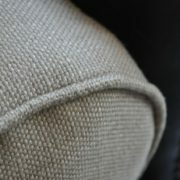 The arm at one end can be lowered to various positions, including 45 degrees or full flat, and the other arm can be removed completely. 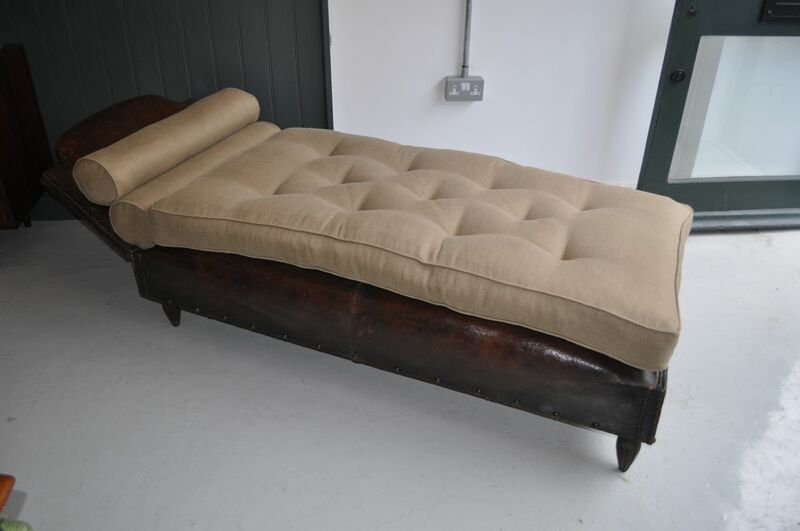 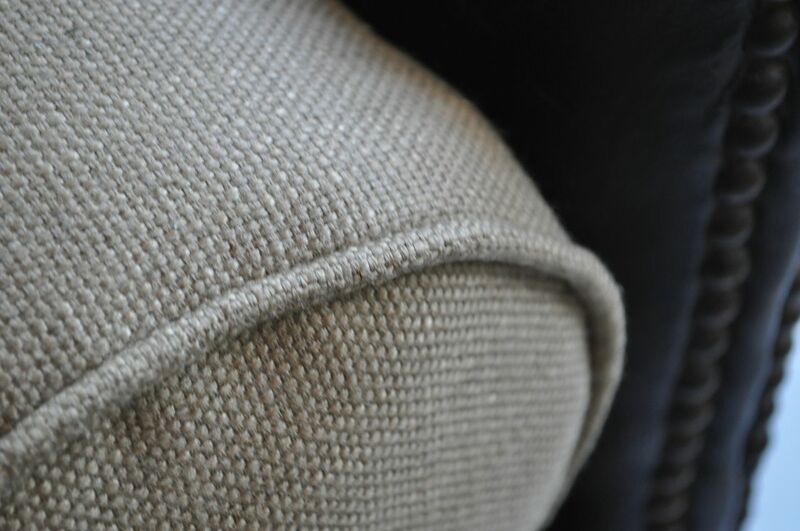 The base has been newly upholstered and given a new top cover, and the buttoned mattress and two bolster cushions have been done in a neutral gold linen.